Thinking About a #Northern #Wisconsin Getaway This Summer? When you think UP NORTH, think Wisconsin. Wisconsin may be known for the beer and cheese but that isn’t all it’s famous for. The people are welcoming, the fish are biting, the sweet-smelling pines are whistling, and the wildlife peeking out from their burrows. Northern Wisconsin offers anything a person can ask for. For the outdoor adventurer, there is nothing short of things to do in Wisconsin. The Cable area has been nationally ranked by CNN and the American Hiking Society as owning some of the best hiking trails in the nation. 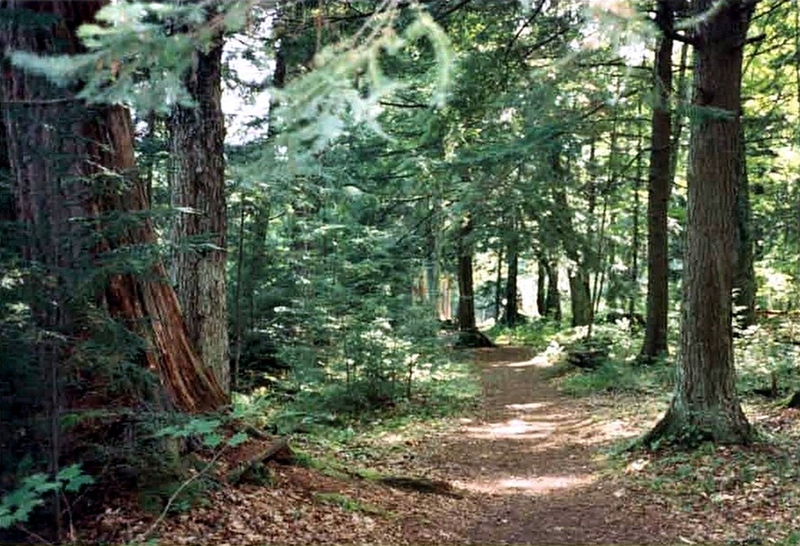 This could be because of the uninterrupted landscape of the Chequamegon-Nicolet National Forest. In some areas you can even see Lake Superior. These trails are also traveled by mountain bikers. If the sound of waves and running water can instantly calm you, you’re in for a treat. 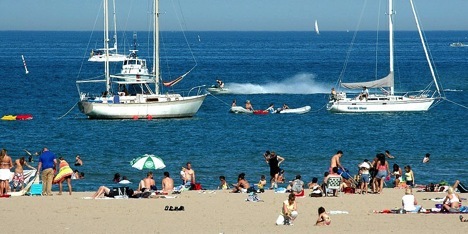 Wisconsin boasts over 14,000 lakes and northern Wisconsin has some of the best beaches. 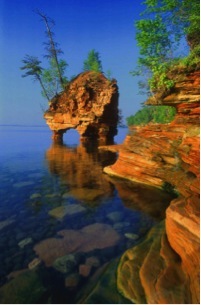 Visit Lake Superior and you will never need to leave the state again for a vacation. You can go boating, fishing, surfing, kayaking, paddle boarding, canoeing, swimming, frolicking or really just about anything you want to do in the water, you can do it here. Northern Wisconsin offers unique shopping experiences, wine tours, boardwalks, island cruising, and plenty of great hearty food. After all, this is America’s Dairyland. For fishing enthusiasts, Northern Wisconsin is your Musky, Bass, and Walleye wonderland. Be sure to check to ask the owner of the Wisconsin vacation rental about local fishing guide services – be sure to know where to go! Eagle River cabins (city is named appropriately due to the popular sightings of eagles), offers a great family vacation spot for summer months in the upper Midwest. Here they named it the “snowmobiling capital of the world” for its annual snowmobiling derby. This is widely popular here because of the well groomed miles of trails. A 4-season paradise. For the fitness guru, Hayward is home of the famous Birkie. The Birkebeiner is a 88 kilometer trail system that attracts skiers, bikers and runners worldwide. Compare 45 Hayward cabins, and book directly with the owners to make sure you get the best rental rate! Hunting wildlife is a great game as well and there is plenty to hunt. In the Minocqua area, there are 55 up north cabin rentals and hundreds of acres of public hunting forest available for hunting. Here you can find deer, snowshoe hare, woodcock, turkey, grouse, and even mink, otter, and muskrat. Winter in Wisconsin will never be unmatched. Ice fishing, snowmobiling, and skiing are all wonderful activities to do. You don’t know winter until you’ve been there. Ice shanties scattered among the lakes, families enjoying their catch at the dinner table and follow up with roasting marshmallows around a fire. For breathtaking views, check out the waterfalls, bluffs, and endless lake views joined with a mesmerizing sunset to complete a wonderful day in Wisconsin. So relax – Enjoy your search at RentWisconsinCabins.com – You’re on Cabin Time now! This entry was posted in Wisconsin Vacation Rentals and tagged cottages, lodging, rentals, vacation homes, Wisconsin Vacation Cabins. Bookmark the permalink. Thank you for the additional information!! We appreciate all the feedback! DO you have any additional information on Castle Rock Lake for us? I always want to check out vacation and rentals and I am amazed by the information given here epecially in Wisconsin. Indeed, Wisconsin is a great place to have a family vacation and having rentals, it will be great since you can save a lot and at the same time have a wonderful time. Thanks for these information. We like to think so! The waters are prestine the further you go up and the fishing is world class and not to mention the breweries and wineries are hard to beat in this area! Thanks for the post!